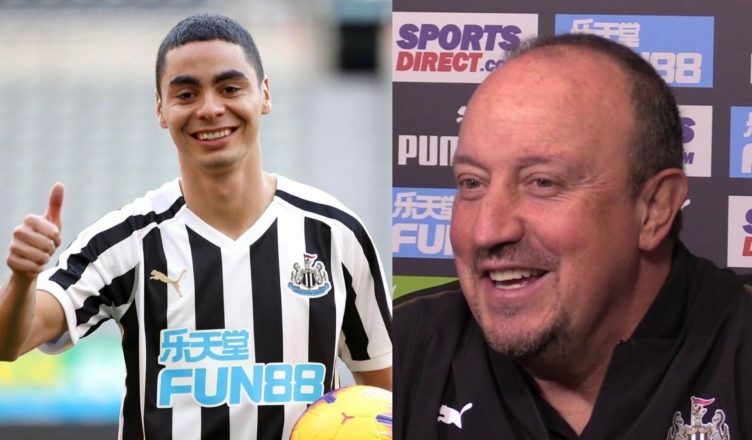 Benitez: “Almiron is ready” – Read Rafa’s exciting pre-match quotes here ahead of Huddersfield clash – NUFC blog – Newcastle United blog – NUFC Fixtures, News and Forum. Rafa Benitez has confirmed that Miguel Almiron is ‘ready to start’ – saying he’s now given him a ‘big decision’ to make ahead of tomorrow’s clash with Huddersfield. Decide for yourself, but these comments suggest to me that the Spaniard is ready to hand Almiron his first start at St James’ Park tomorrow. Rafa has also confirmed that only Rob Elliot and Ciaran Clark are out of this one, meaning he almost has a fully fit squad to choose from. “Almiron is ready to start. The Terriers have managed just 1 point from their last 12 games, giving us a huge opportunity to make the most of their poor form and gain an all important 3 points – and the decision to start Almiron or not has been the big talking point this week. So, it sounds to me like Almiron will start – with the usually guarded Rafa giving us no reason to believe that he won’t be ready to play from the off.